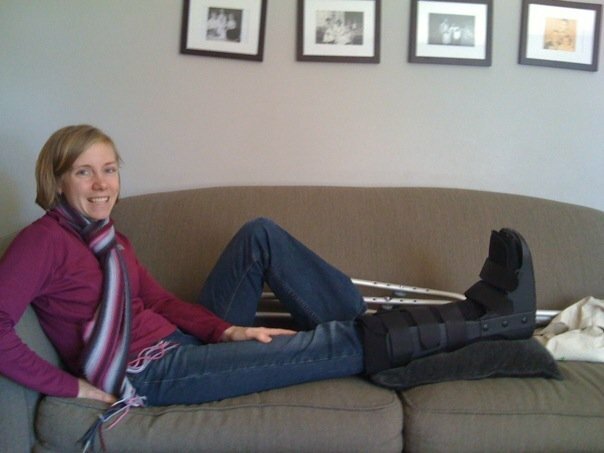 Hi - Im a bit older than you and fractured my talus bone 2 months ago and loved reading your story! I went to an incompetent orthopedic at first who never even looked at my foot .. he just looked at the scan and told his assisatant to cast me. I only had a cast on for 3 weeks. he said it was non displaced. I went to someone else who said it was in fact displaced. who knows. I trust the second guy because he actually looks at my foot I am sad to hear of all your misery with this and hope I do not have pain after a year- I am walking a bit with a boot cast - tried walking yesterday but it was so sore that I decided it must not be healed enough yet and put the boot back on. (Then tripped over a box at work today and wonder if I complicated the fracture- seems ok but sore... I hate not living life to its dullest and this is horrible. Thanks for sharing dear.